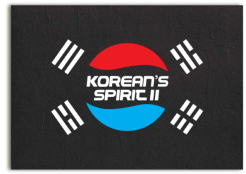 KIM Dong Yoo has established himself as the prominent Korean painter of Western icons. 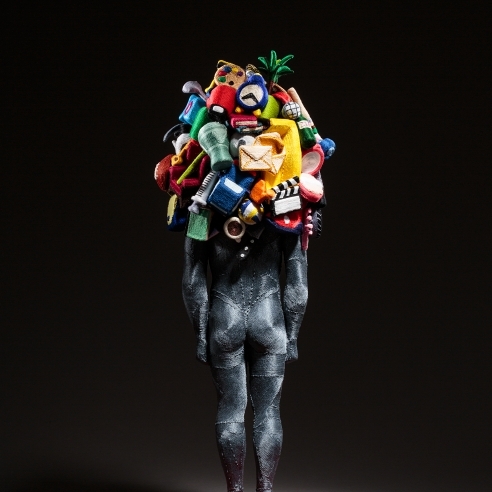 The main motifs of his work are individuals, who he perceives not as entities but as pure images. These images are not a representation of the actual persons but of independent beings that exist separately from the signified subjects. 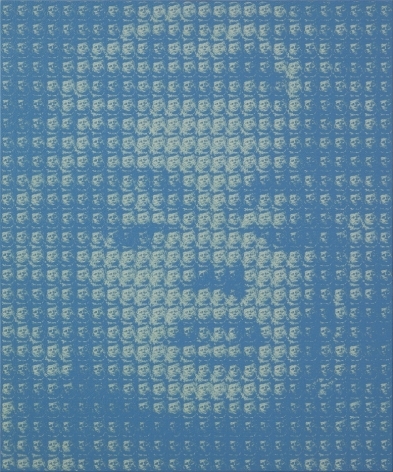 His process consists of painting thousands of tiny images of the same picture, not to create a larger version of the same image, but an entirely different portrait. 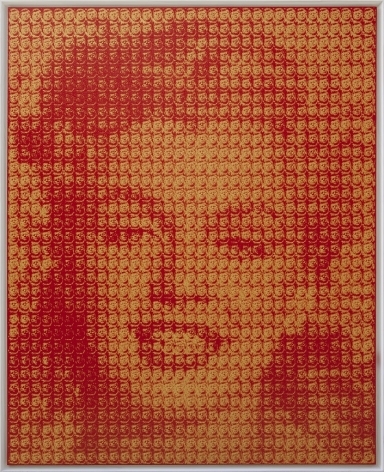 In his Marilyn Monroe portraits, KIM puts together numerous tiny images of John F. Kennedy to form a large portrait of the glamourous American actress. 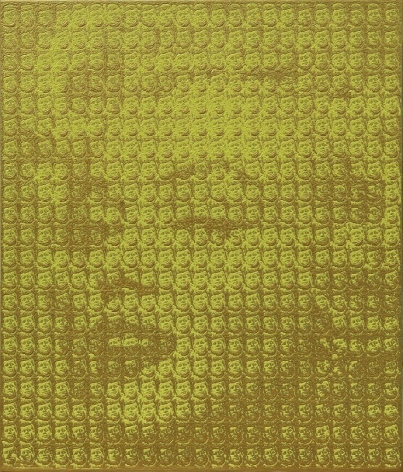 The faces of Kennedy fill every pixel of Monroe’s portrait, implying that the two individuals had a strong influence on each other’s public image. The final image conveys the sum of all ideas and opinions that the public has about the celebrity. It also suggests that the wall between politics and entertainment has been dismantled. And in the case of Marilyn and Kenned, it obviously implies the inevitable story of desire between the two unforgettable figures.